Which processors have the best credit card processing rates really depends on what the sales agent is willing to tell a business owner is the applicable rate. Let me explain further, credit card processors such as Elavon, First Data, Heartland, WorldPay, Tsys, Cayan and Vantiv (“Major Processors”) pretty much have the same rates. These Major Processors give their sales agents what are called “buy rates”. The sales agents make commissions based on signing up merchants and marking up their buy rates. So the only way sales agents can make money is by marking up the buy rates, otherwise they make no money. The more merchant accounts a sales agent has, the more likely he or she will be able to negotiate lower buy rates and pass the savings on to his or her merchant clients. Based on the way the merchant processing industry works, the best credit card processing rates are available from agents that have low buy rates and are also willing to pass those savings on to the business owners. Most agents do not pass those reduced rates on to the business owners so the agent can make more on their monthly commission from those accounts. I believe in signing up more accounts with business owners and making lower commissions on each account. This way the business owner’s overhead expenses are less which translates to better profit margins for them, and my merchant clients stay with me longer. Other sales agents struggle signing up accounts and so they do not pass on the best credit card processing rates to their clients, because they need to make higher commissions on each account. In some situations desperate agents will even lease credit card terminals at rates that end up costing merchants 3 or 4 times what the terminal is actually worth. 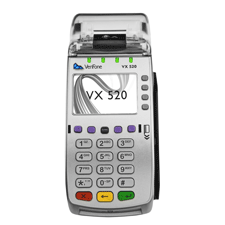 For merchants that process at least $5,000 per month I offer the use of a free credit card processing terminal. By giving the best credit card processing rates to my merchant clients, I have been able to lower some accounts more than 25% from approximately 3.70% to approximately 2.70%. To put this in perspective, a business doing $25,000 in processing per month would be lowering their processing costs from $925 to $675. That is a savings of $250 per month which is $3,000 in savings per year. While these numbers are not exact they are a good example of the amount of savings a good sales agent can pass on to a merchant. Let me explain; the reason for the variance in the overall cost of processing a merchant pays each month is due to the variety of different credit cards with varying interchange rates used by customers to make their purchases each month. For instance, corporate credit cards and rewards cards cost merchants more per transaction because the card brands (Master Card, Visa, Discover and American Express) set a different interchange rate for those credit cards. There are over 200 different interchange rates set by the payment networks (ie., MasterCard and Visa) that range from a high of about 2.95% and $.10 per transaction for certain business credit cards to a low of 0.05% and $.21 per transaction for PIN Regulated POS Debit cards. What is “interchange” anyway? Glad you asked. “Interchange is a small fee paid by a merchant's bank (acquirer) to a cardholder's bank (issuer) to compensate the issuer for the value and benefits that merchants receive when they accept electronic payments." 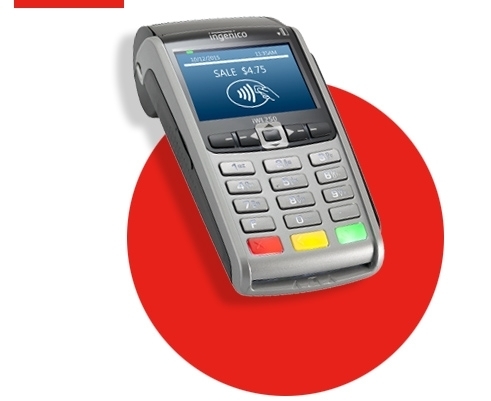 Source: https://www.mastercard.us/en-us/about-mastercard/what-we-do/interchange.html It doesn’t matter who you choose as a processor when it comes to interchange because all businesses pay the same interchange rates set by the payment networks. I would be glad to help you better understand what your actual rate is and what your processor is charging you above the interchange rates so you get the best credit card processing rates for your business. Feel free to give me a call, email me or use the short contact form on the top of this page.